Cordyceps & Cordyceps Products Archives | Wing Ming Herbs, Inc.
Cordyceps is a genus of ascomycete fungi and some of its members including Cordyceps mycelium are commonly used in herbal medicine. The popular species in commercial products are Cordyceps sinensis, Cordyceps ophioglossoides, Cordyceps capita, and Cordyceps. militaris. Cordyceps militaris is a traditional herbal ingredient frequently used for tonic and medicinal purposes in eastern Asia, while, Cordyceps sinensis (dong chong xia cao; 冬蟲夏草) has been suggested to possess anti-tumor, immunostimulant and antioxidant activities. The chemical constituents for most species include cordycepin (3′-de-oxyadenosine) and its derivatives, ergosterol, polysaccharides, a glycoprotein and peptides containing alpha-aminoisobutyric acid. Their benefits are suggested to include anti-tumour, anti-metastatic, immunomodulatory, antioxidant, anti-inflammatory, insecticidal, antimicrobial, hypolipidaemic, hypoglycaemic, anti-ageing, neuroprotective and renoprotective effects. Polysaccharide accounts for the anti-inflammatory, antioxidant, anti-tumour, anti-metastatic, immunomodulatory, hypoglycaemic, steroidogenic and hypolipidaemic effects. Cordycepin contributes to the anti-tumour, insecticidal and antibacterial activity. Ergosterol exhibits anti-tumour and immunomodulatory activity. More about Cordyceps sinensis Cordyceps sinensis, a well-known and valued traditional Chinese medicine, is also called DongChongXiaCao (winter worm summer grass) in Chinese. 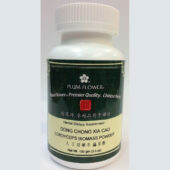 In herbal medicient, it is commonly used to replenish the kidney and soothe the lung and it is belived to benefit fatigue, night sweating, hyposexualities, hyperglycemia, hyperlipidemia, asthemia after severe illness, respiratory disease, renal dysfunction and renal failure, arrhythmias and other heart disease, and liver disease. As the rarity and upstanding curative effects of natural Cordyceps, several mycelial strains have been isolated from natural Cordyceps and manufactured in large quantities by fermentation technology, and they are commonly sold as health food products in Asia. 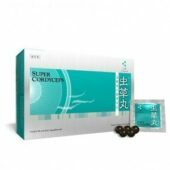 Supreme Cordyceps by Wai ..